Pauline Hanson blames former PMs Howard and Abbott for jail time. Pauline Hanson has blamed John Howard and Tony Abbott for her time behind bars. Years before bursting back into the Australian political spotlight during the 2016 federal election, Pauline Hanson spent time in prison for electoral fraud. More than a decade on, Queensland’s new Senator-elect still becomes emotional recalling her brief stint behind bars in 2003. “I just felt everything was stripped away from me and how the people perceived me but I think what was more important is what my kids went through,” she reveals in a new documentary, due out at the end of the month. Hanson and her adviser David Ettridge were found guilty of fraudulently registering the One Nation party, while Hanson was found doubly guilty of fraudulently obtaining about $500,000 in electoral funding. 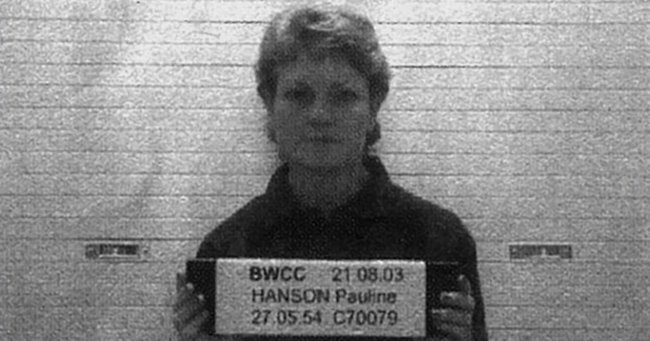 The conviction was later overturned, but not before Hanson spent 11 weeks in Wacol women’s prison and at least one night of her imprisonment on suicide watch. To this day she maintains the whole thing was a “sham” — a “political witch hunt” designed to discredit her by former conservative Prime Ministers Tony Abbott and John Howard. "They just threw one court case at me after another," she says, fighting back tears in the interview, which was filmed in her Ipswich home. "It was a sham. The whole thing was an absolute political witch-hunt to destroy me. "I blame Tony Abbott [and] John Howard for my imprisonment and no one will ever change my opinion about that." "He couldn&apos;t leave it up to the Australian people to determine at the ballot box whether they wanted me, One Nation, or my policies," she said. Howard has dismissed the claims as a "ludicrous conspiracy theory". Both Hanson and Howard are interviewed in the new film Pauline Hanson: Please Explain!, which charts the former&apos;s rise and fall — and rise again — in Australian politics. 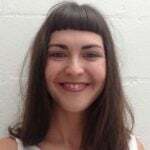 Director Anna Broinowski compares Hanson&apos;s recent, and somewhat surprising, populism-fuelled resurgence to Donald Trump&apos;s meteoric climb in the US. "Our hope is that this documentary, by airing views from all sides of the racial, economic and social conflicts Hanson triggered almost two decades ago, will help viewers understand how figures like her, when they are simply &apos;shut down&apos; rather than analysed and engaged with, can become even more polarising," she wrote in a piece for SBS, where the documentary will air on July 31st. "Australia is one of the world’s most successful multicultural societies – but Hanson’s issues are enjoying new resonance. If we are to grow as a nation, we must tackle them now." Indeed, Hanson has promised her maiden speech in the Senate will be as memorable her 1996 debut in the House of Representatives as the member for Oxley, in which she aired her controversial view that Australia was being "swamped by Asians". Broinowski interviewed Hanson three times for the film, along with Howard, incoming Labor MP Linda Burney and Indigenous leader and academic Marcia Langton.